The graph presents the year-end closing prices of Goldman Sachs from 2004 to 2018. 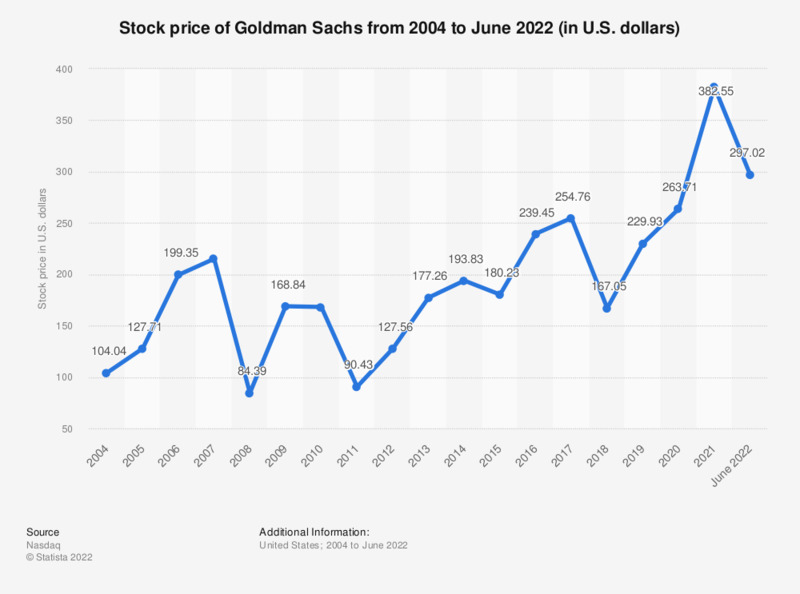 The closing stock price of Goldman Sachs in 2018, as quoted on the Nasdaq Stock Exchange, amounted to 167.05 U.S. dollars. End of year closing prices.